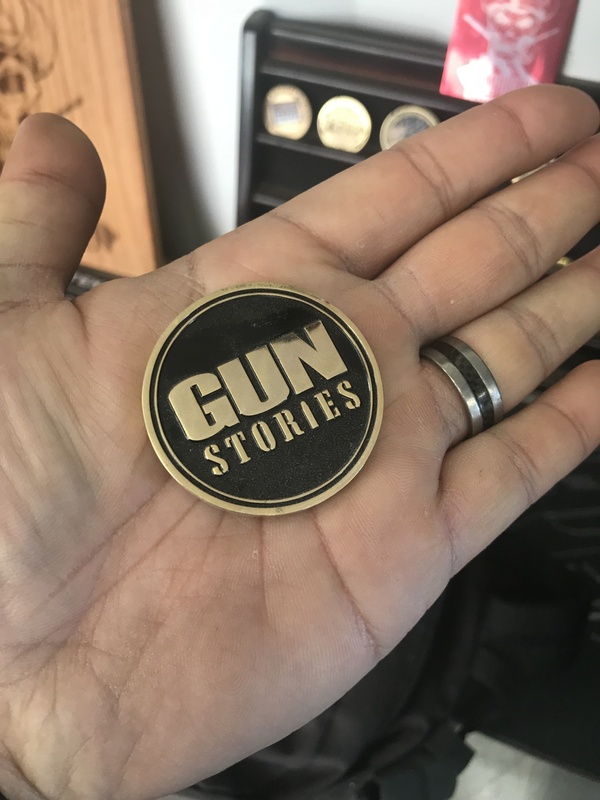 Season 3 of Hollywood Weapons has already started. 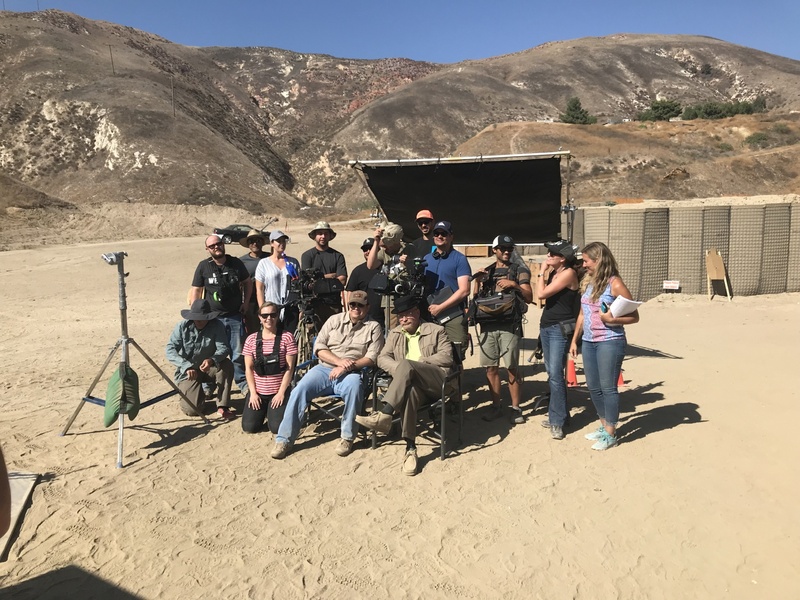 Last September, The Firearm Blog was invited out to the set of Hollywood Weapons to see them make an episode. I was one of the few that went and got to see some of the Hollywood magic you hear so much about. 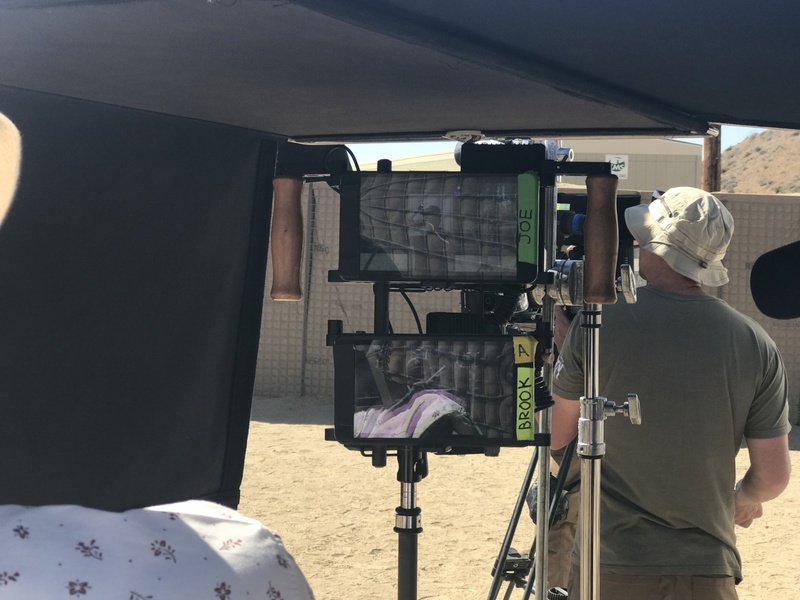 We were told we could film and photograph the set but we could not spill any details of the episode until after it had aired. 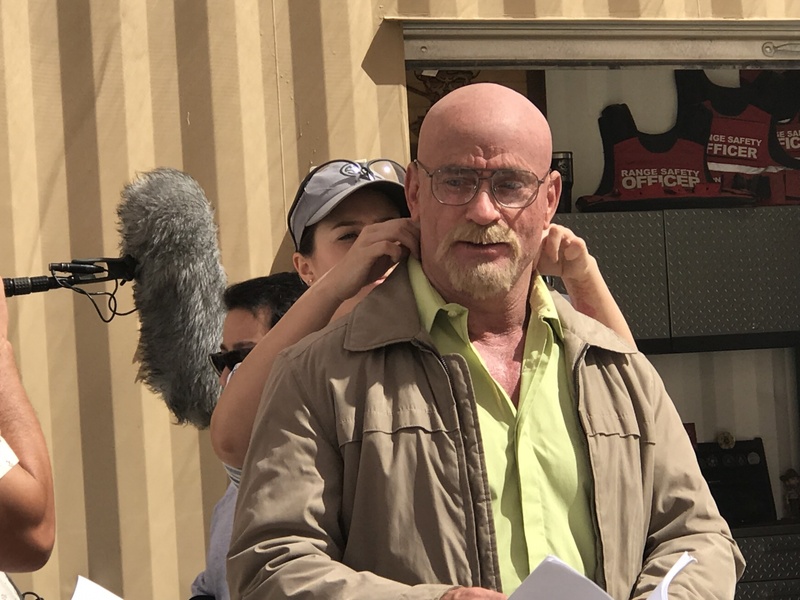 The episode was about some Breaking Bad myths and the Hollywood Weapons episode: Breaking Terry Badly just aired a couple weeks ago. 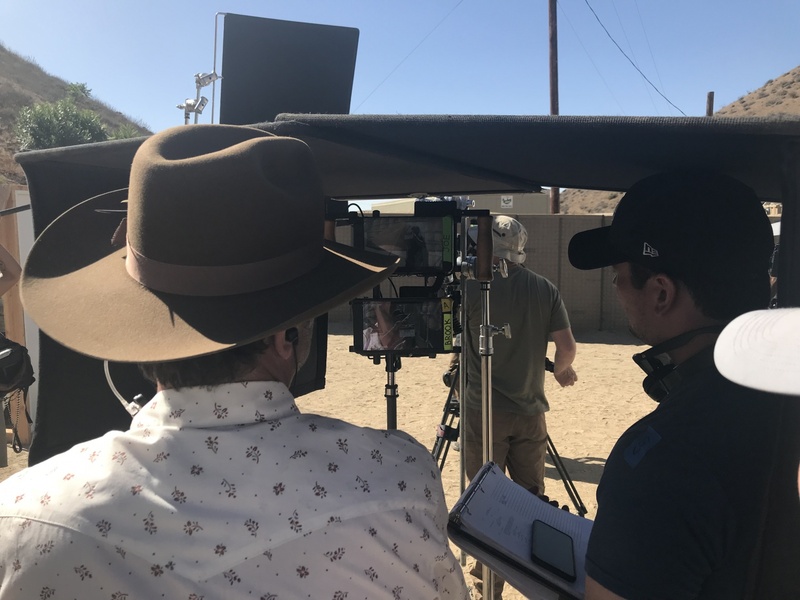 So here is our behind the scenes look. 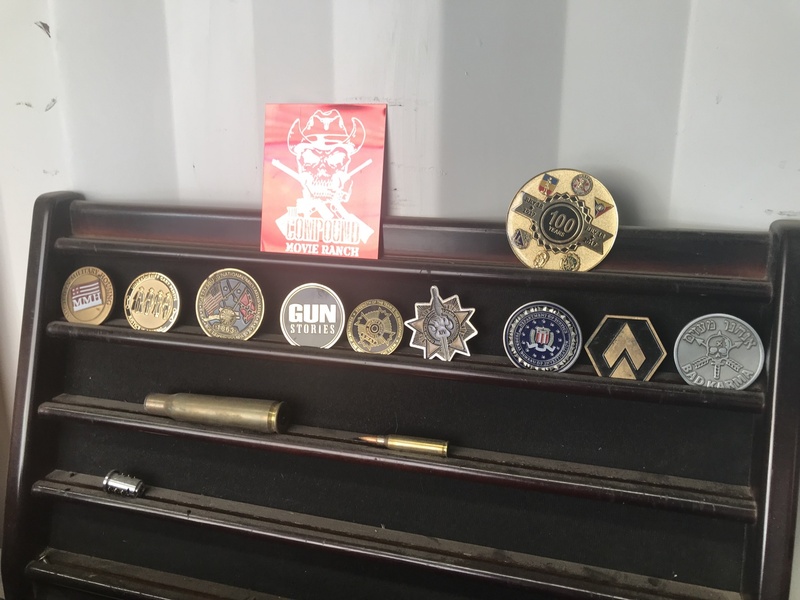 If you have seen Hollywood Weapons you will notice they often shoot, both film and guns, at a closed firing range. 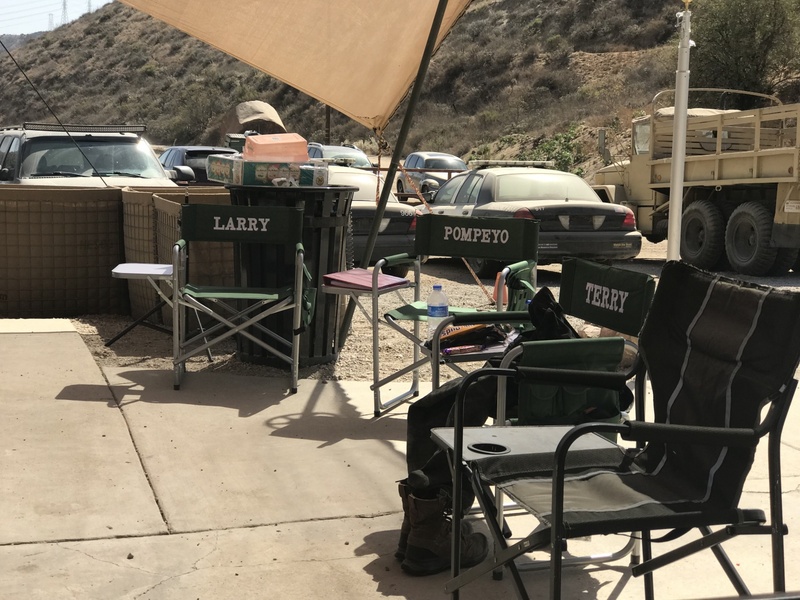 Well for their Breaking Terry Badly episode, they filmed at The Compound. 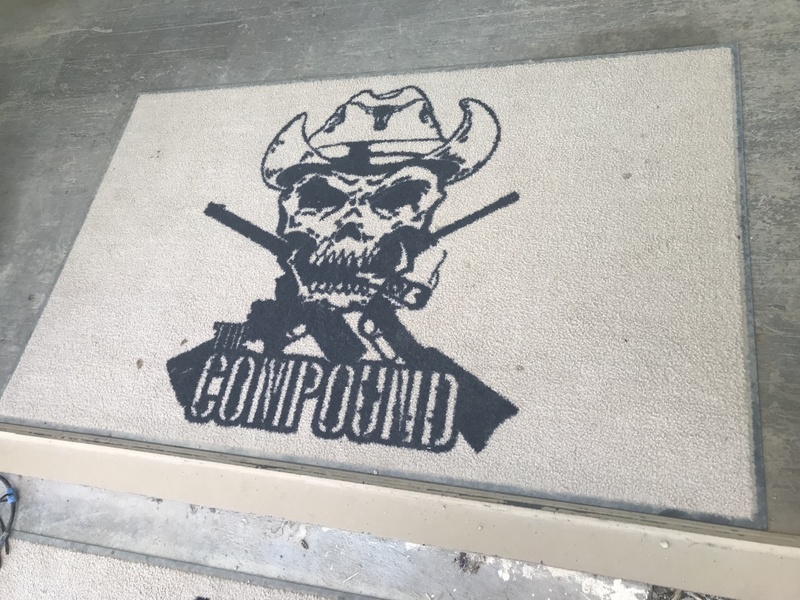 The Compound is a shooting range nestled in the hills of northern Moorpark, California. 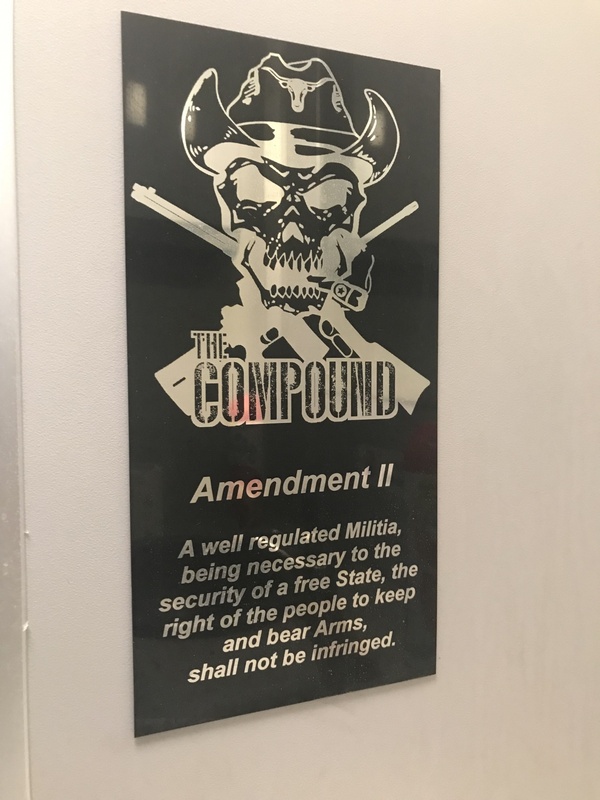 It has been used for firearm training classes and will be the site for an upcoming Night Vision Carbine class by Don Edwards and TNVC. 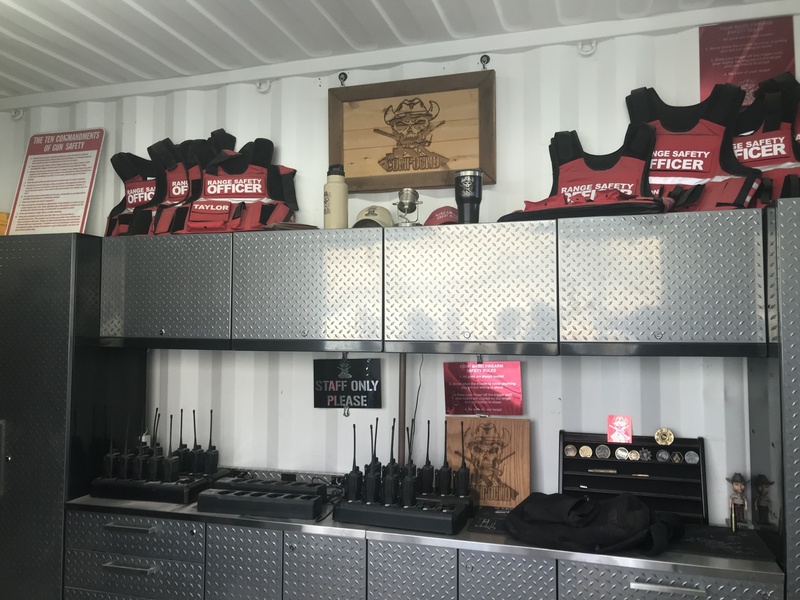 There is a container turned into an office for the RSOs. 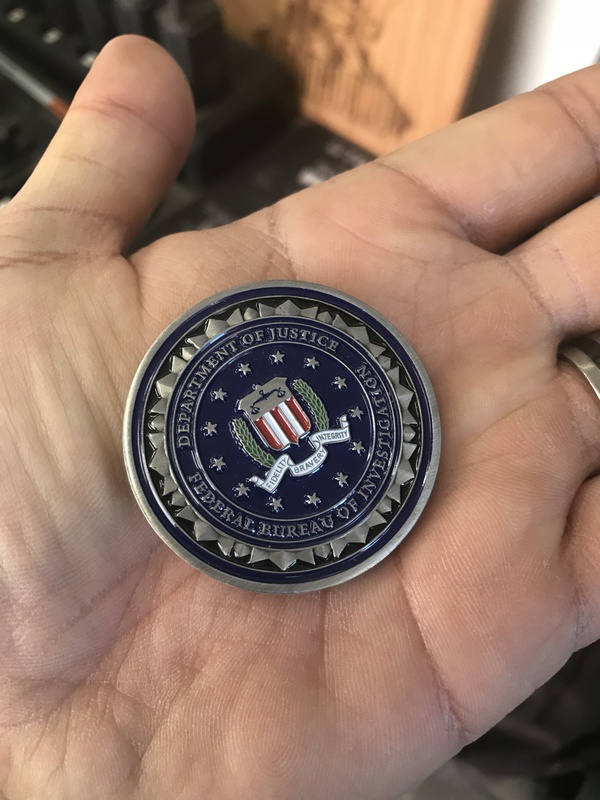 They have a small but interesting collection of challenge coins. 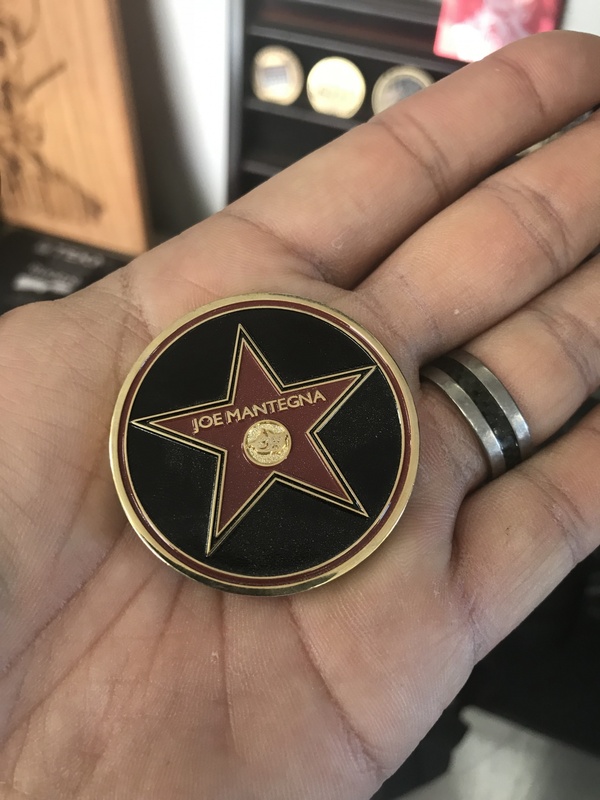 The makers of Hollywood Weapons are the same guys who worked on Gun Stories with Joe Mantegna. 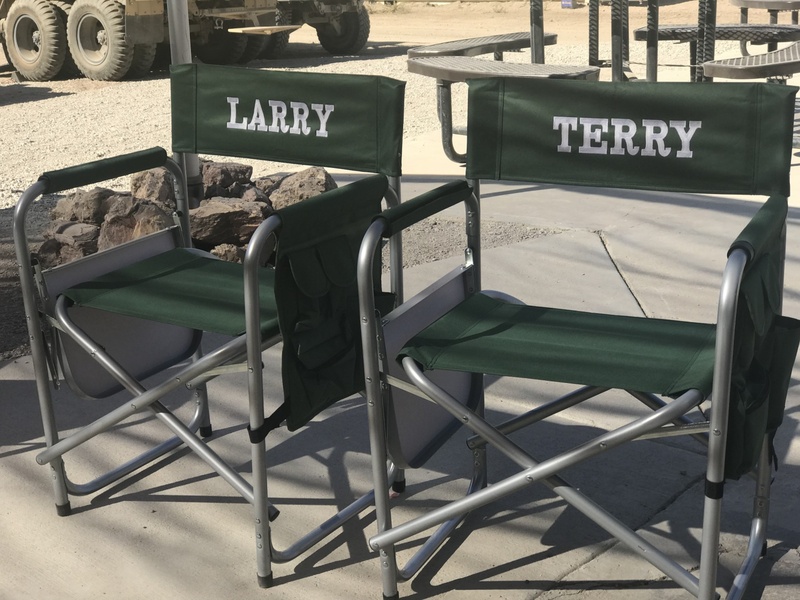 Like any stereotypical set in Hollywood, the talent get their very own chairs. 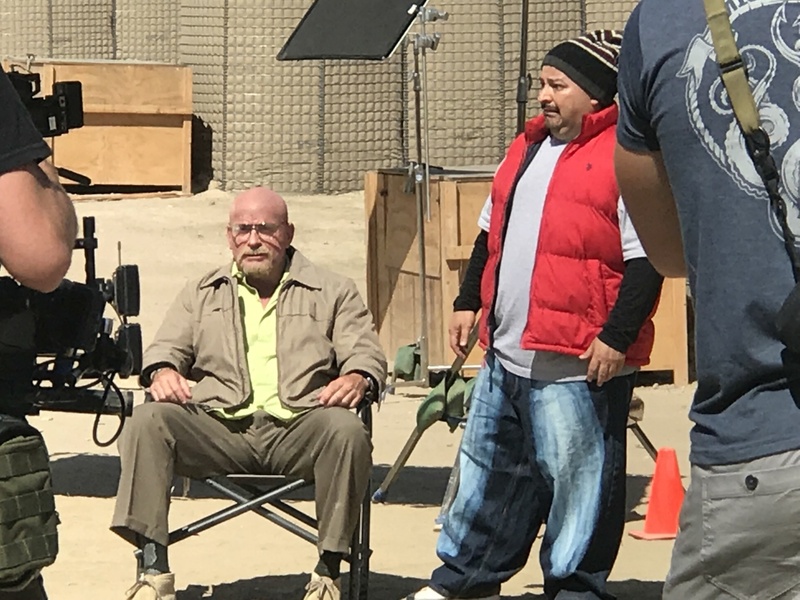 In every episode of Hollywood Weapons, Terry Schappert is dressed up and made to look like a character of the show or movie they are discussing. 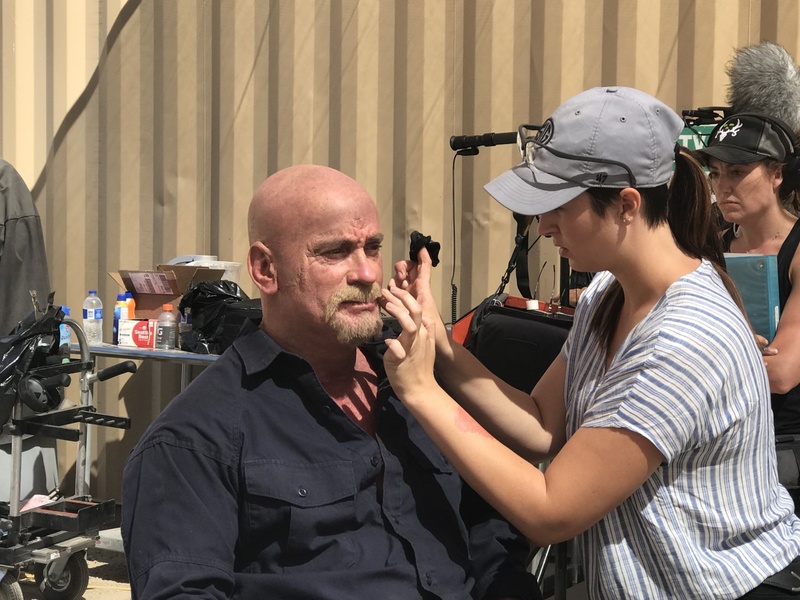 Here the makeup artist preps Terry and transforms him into Walter White. The results are amazing. 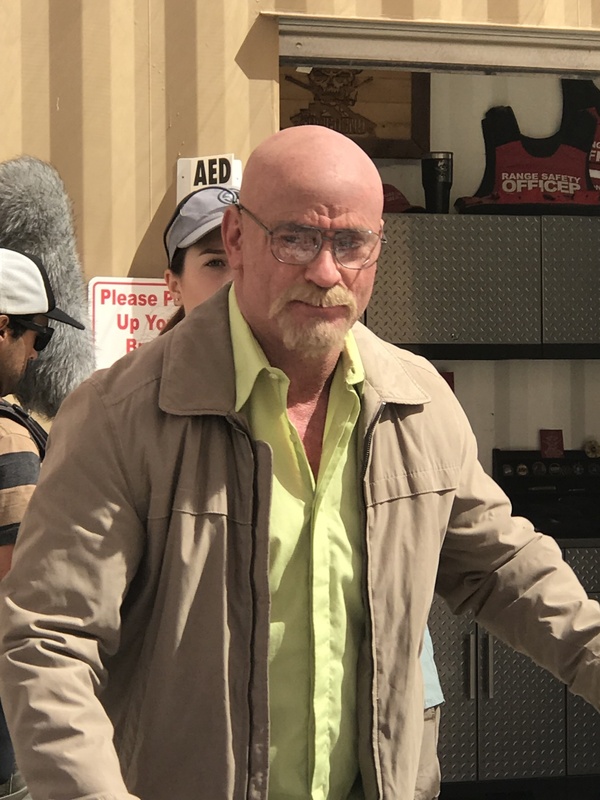 Terry really looks like Walter White. The costume helps as do the glasses. The resemblance is uncanny. 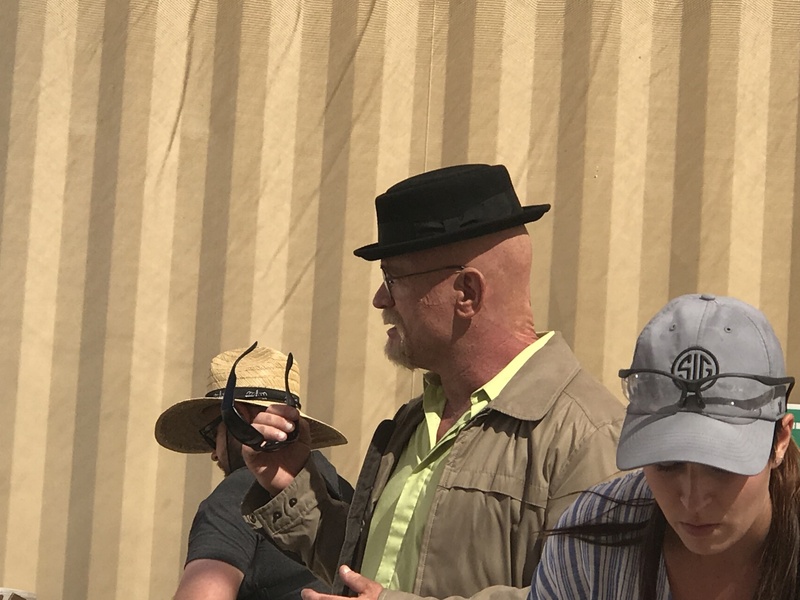 What really set the look is the iconic hat that Walter White is known for. Unfortunately, the myth we witnessed did not involve a firearm. 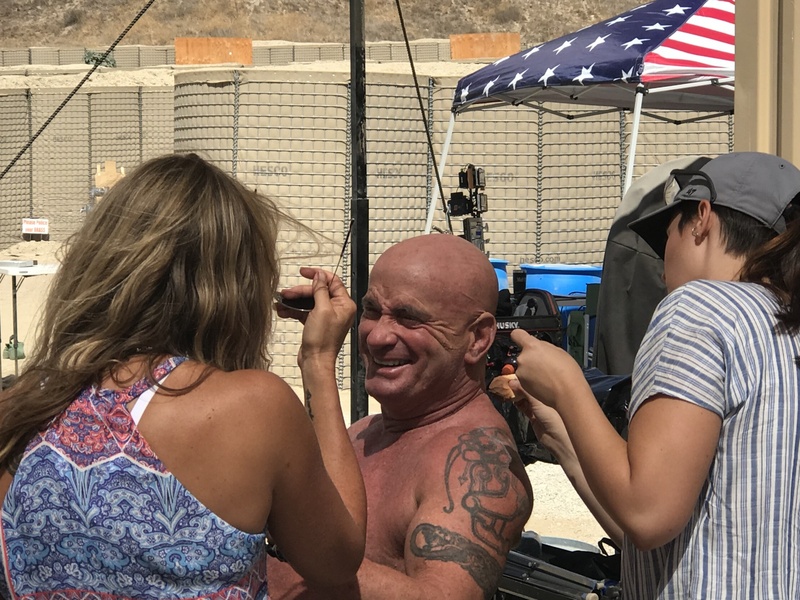 They were testing a particular scene from Breaking Bad involving thermite. Season 1, episode 7 of Breaking Bad, Walter and Jesse break into a chemical warehouse. 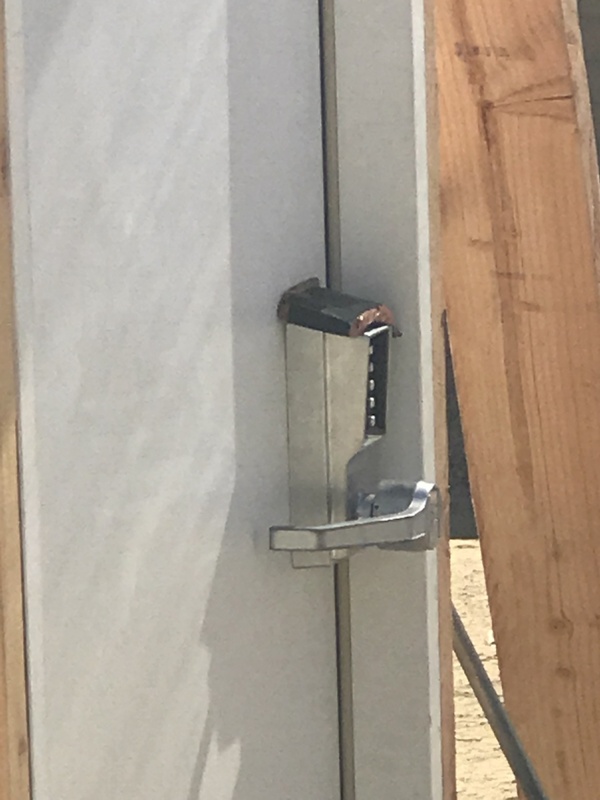 The door of the warehouse was robust and they came up with homemade thermite. 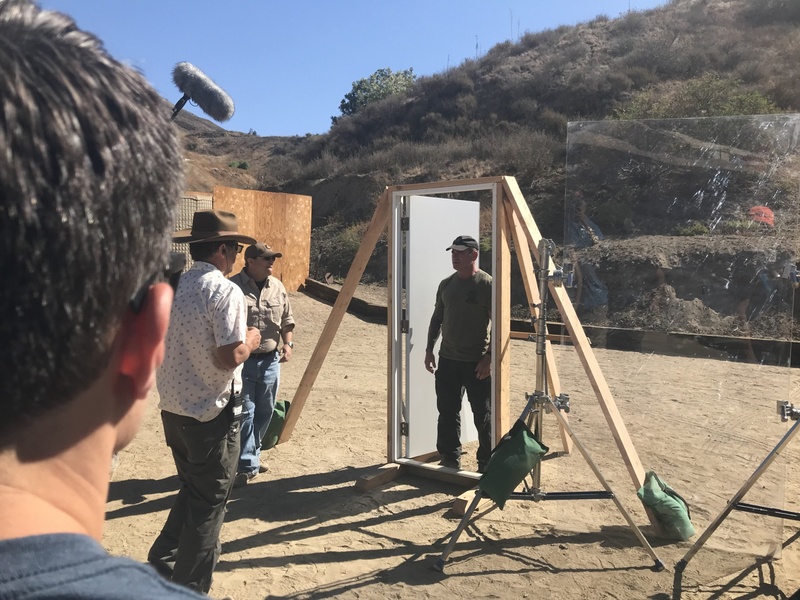 Hollywood Weapons did not bother with the myth about making home-made thermite. Instead, they tested the scene where Walter and Jesse try to use thermite to break into the warehouse. 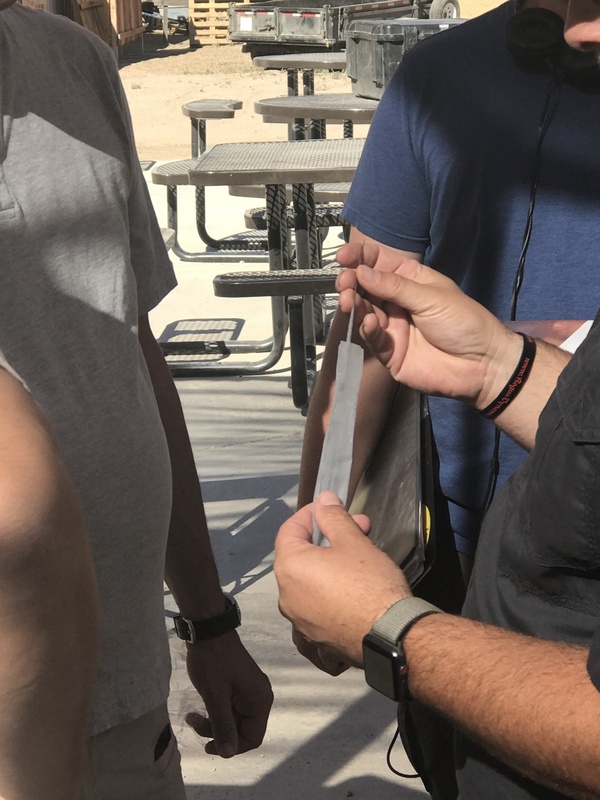 In the Breaking Bad scene, they lay a baggie of thermite on top of the lock. They then use what looks like a propane torch to ignite the thermite. 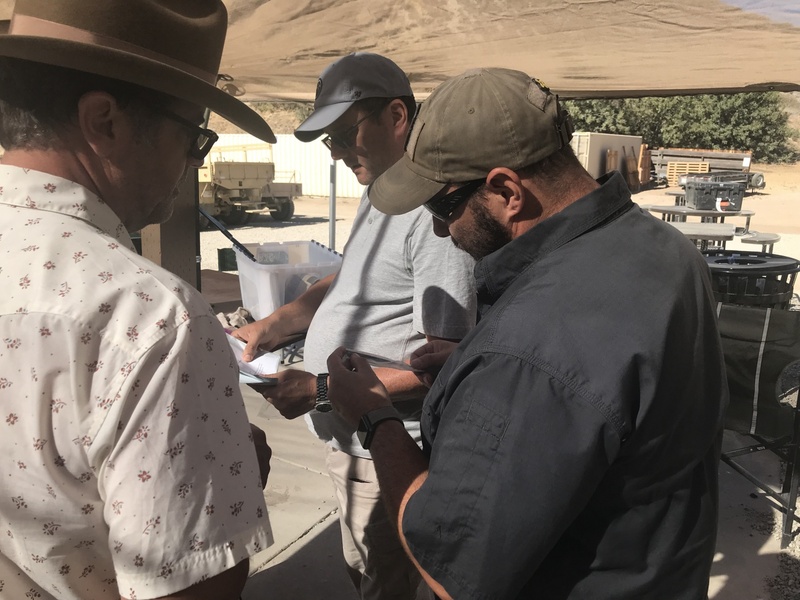 So Hollywood Weapons wanted to test the validity of a propane torch igniting thermite and whether or not this application of thermite could melt through a lock. 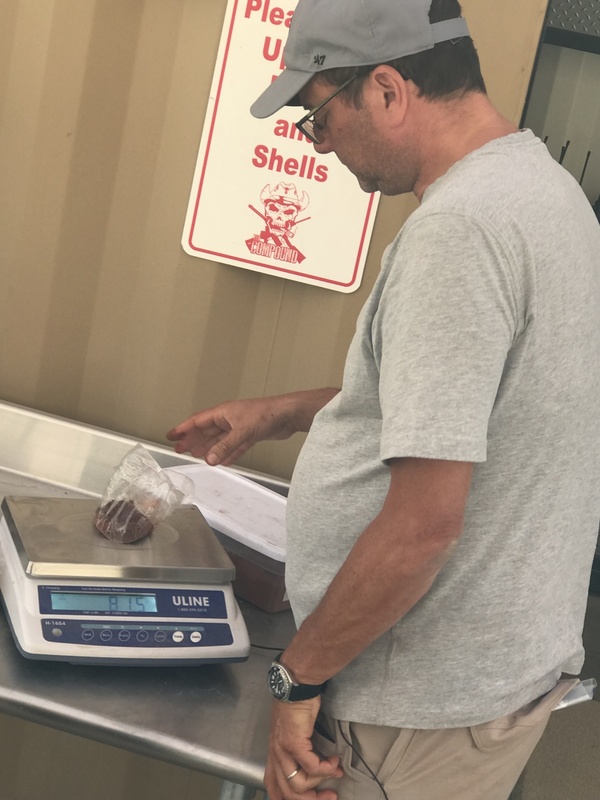 Here one of the producers is measuring out a similar size of thermite as seen in the Breaking Bad Episode. So they tried what they saw in the show. They used a propane torch but it could not ignite the thermite. Propane torches burn typically at 3,623 °F but thermite burns at over 4,000 °F. The propane torch ended up just burning the plastic bag and gaffer tape thus spilling the thermite all on the ground. So now they needed to light the thermite to see if it could actually melt through the lock. 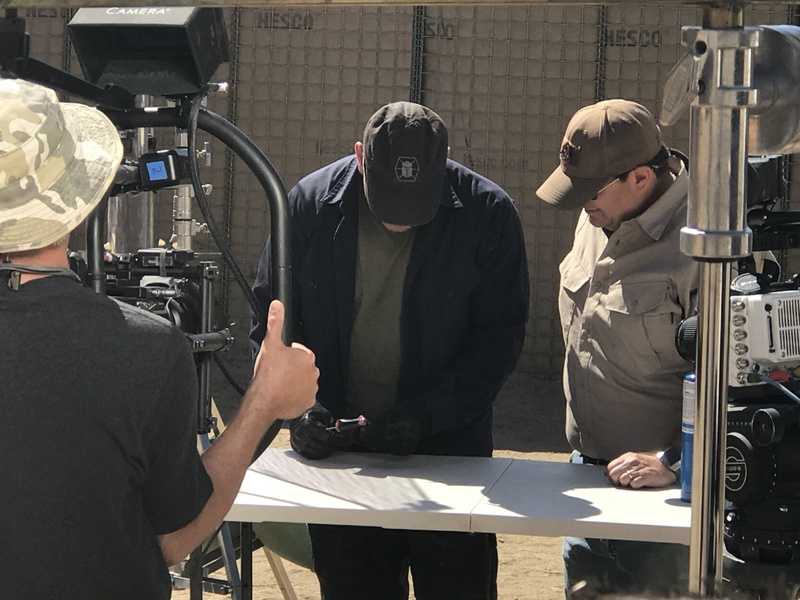 The thermite that was used on set was a store bought commercially made set. It came with magnesium starter sticks. You are supposed to light the stick of magnesium and use it like a large match to light the thermite. Magnesium burns at 4,000 °F which is plenty to ignite thermite, however, these magnesium starter sticks were defective. Below, Tom R. is helping out by looking over the magnesium sticks. Earlier in his life, his job was to play with thermite. I mean use thermite. Yeah, that’s it. Use thermite. 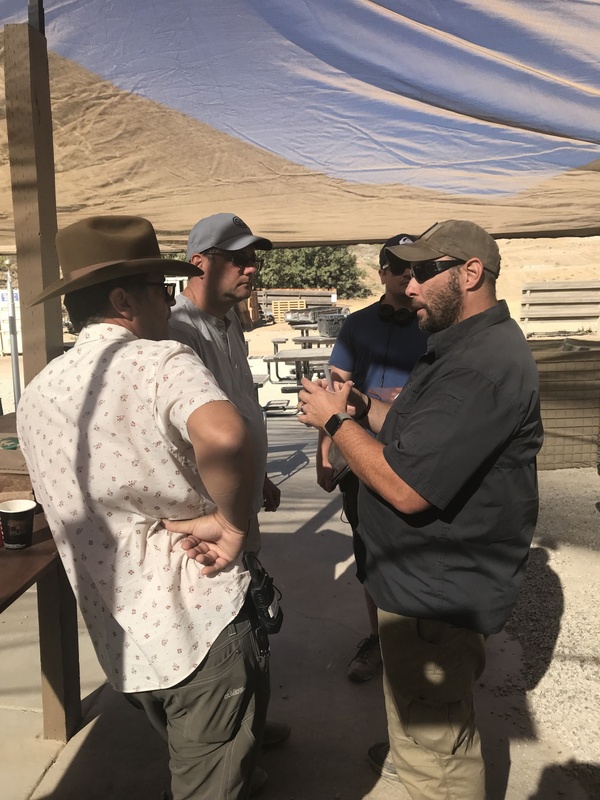 The discussion above was a brainstorm of how to ignite the thermite. I mentioned they could possibly go to Walmart and buy one of those magnesium fire starting blocks. It is a block of magnesium that you shave slivers off of and then strike the ferrous rod to ignite the magnesium. Then talk came around to a road flare so we Googled how hot a road flare could get and it seemed like it could work. So they sent someone to fetch a road flare. The road flare worked but the problem was the application of the thermite was incorrect. 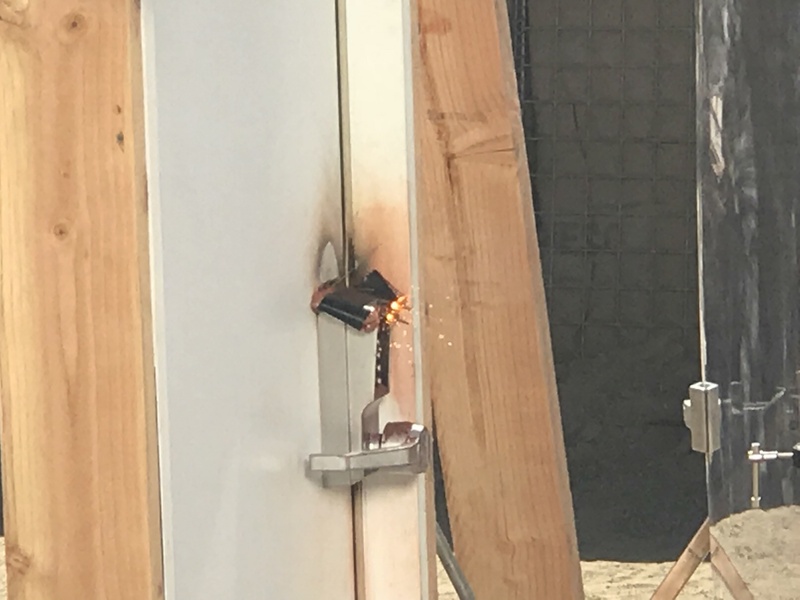 Thermite can be used to burn through a lock like this but you need to focus the heat and energy. 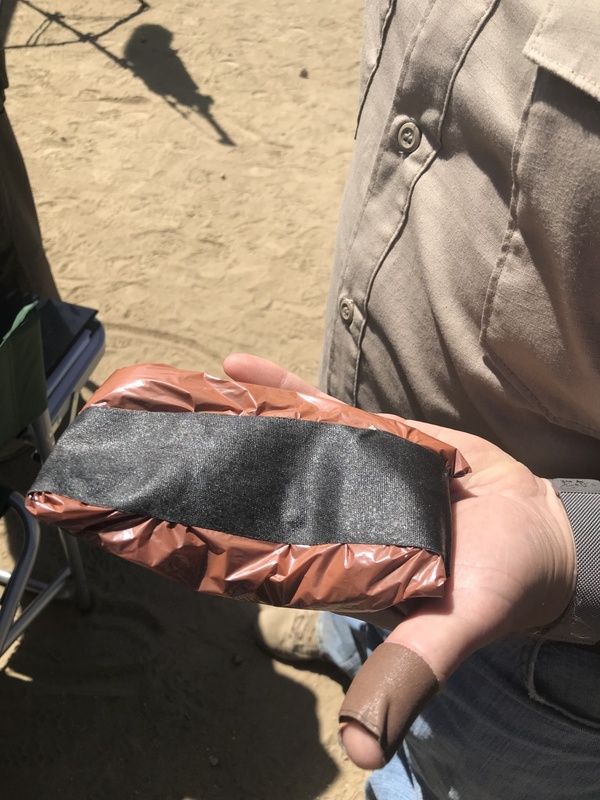 Tom mentioned that people would use some method of concentrating the thermite like in a clay tube. So the thermite is concentrated in a small area so you don’t waste the reaction. The way in which Breaking Bad used thermite is not concentrated at all and as you saw in the video above, the thermite does burn but the energy is wasted. This reminds me of the scene from Armageddon where Jason Issacs’ character, Ronald Quincy, talks about blowing up the giant asteroid with a bomb. Ronald Quincy : [holds out his hand] Imagine a firecracker in the palm of your hand. You set it off, what happens? You burn your hand, right? You close your fist around the same firecracker, [clenches his hand into a fist] and set it off. Your wife’s gonna be opening your ketchup bottles the rest of your life. 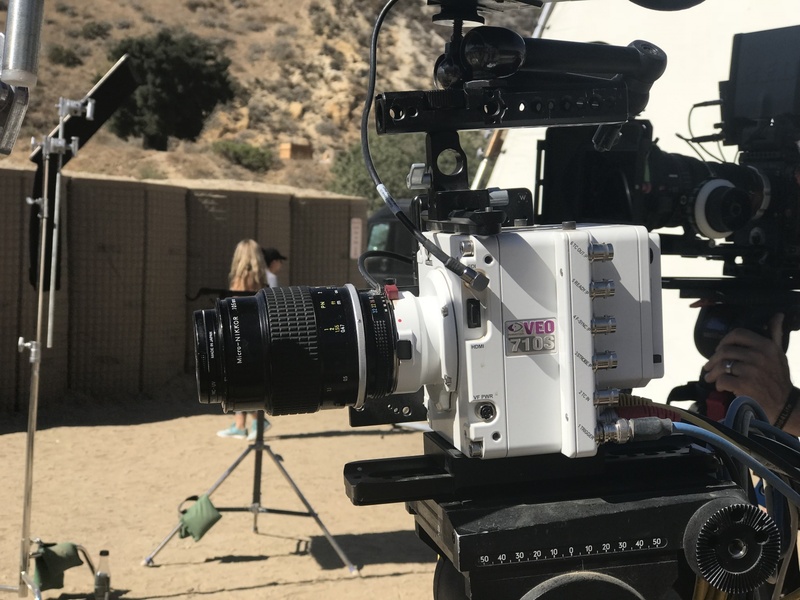 This is the slow-motion camera they use on all of their episodes. The Phantom Veo 710S can film 7,500 FPS at 1200×800 resolution. You can sacrifice resolution for higher frame rates. It can technically shoot 1 million frames a second at a low resolution of just 64×8. Go to Ametek for more info on this camera. 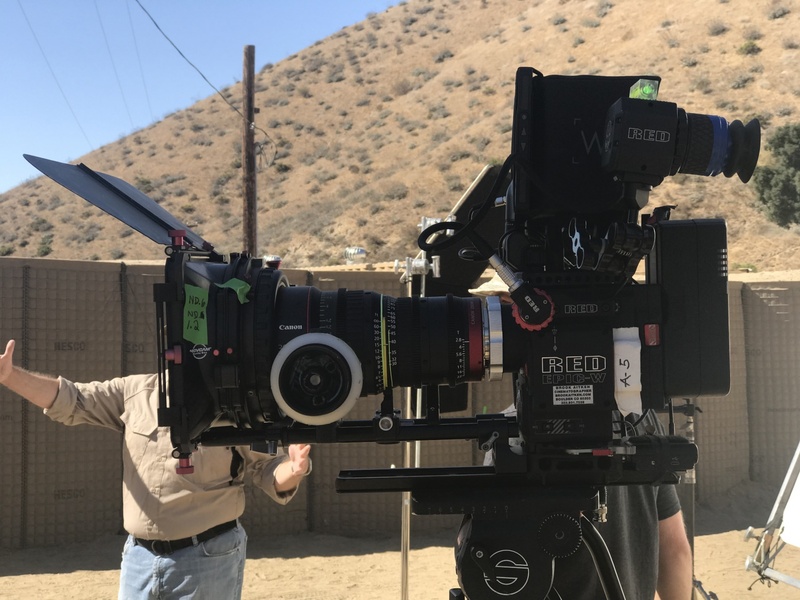 The rest of the show is filmed on a Red Epic-W. It shoots in 8k resolution! 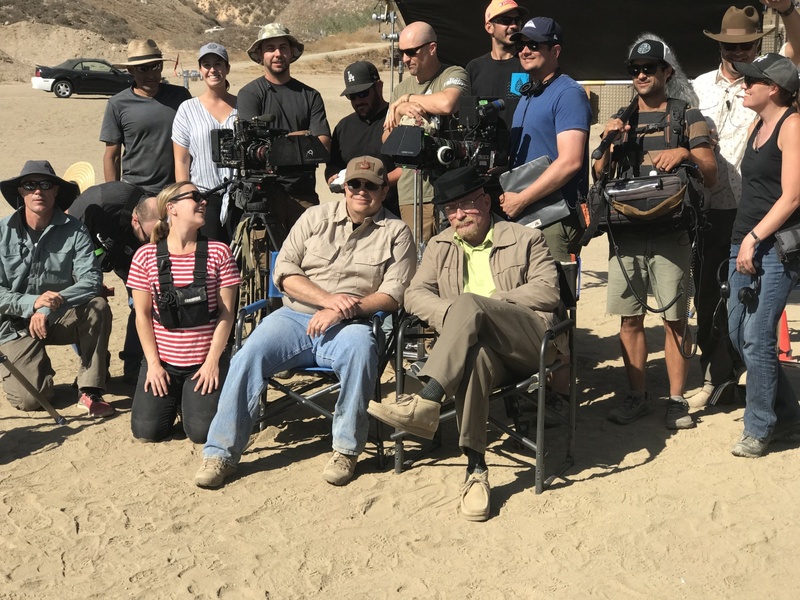 This is the crew that made this episode happen. 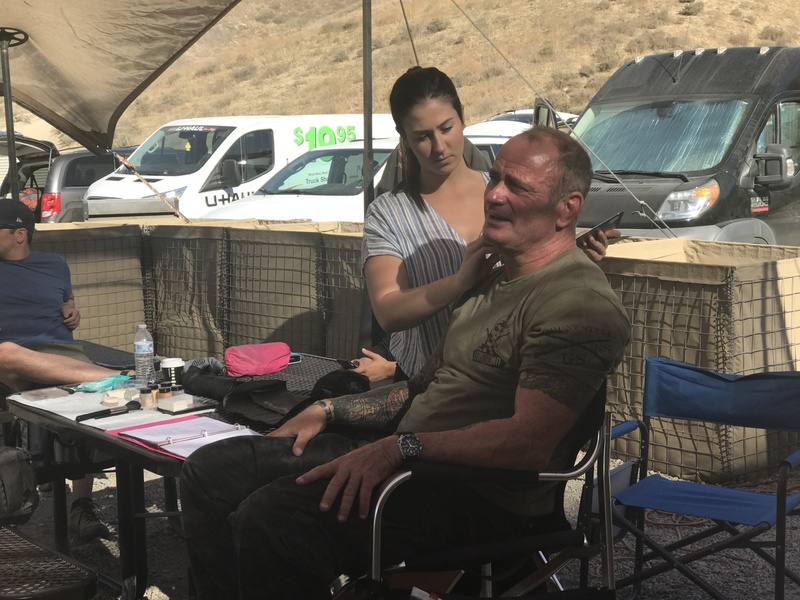 A big thanks to Outdoor TV for letting us come and shadow the crew on the set of Hollywood Weapons. 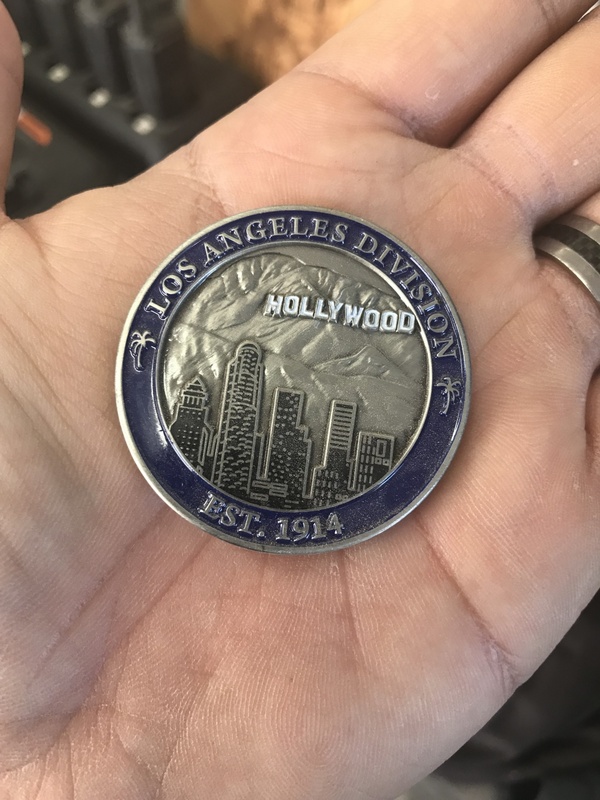 I have a little experience of Hollywood sets so I knew what to expect. But it was still cool to see and meet Larry Zanoff and Terry Schappert. Stay tuned for our guided tour of ISS Props by Larry! !